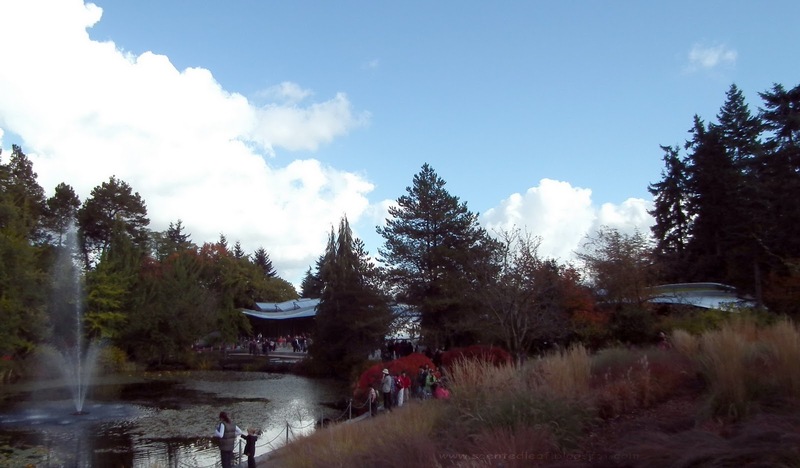 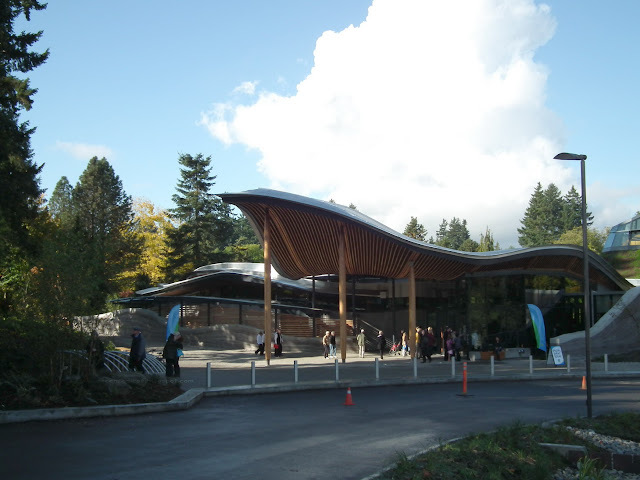 Sunday, Oct. 23th, 2011, was the opening ceremony of the new VanDusen Visitor Centre, and we had the opportunity to visit it and to spend a great day wandering through the VanDusen Botanical Garden. 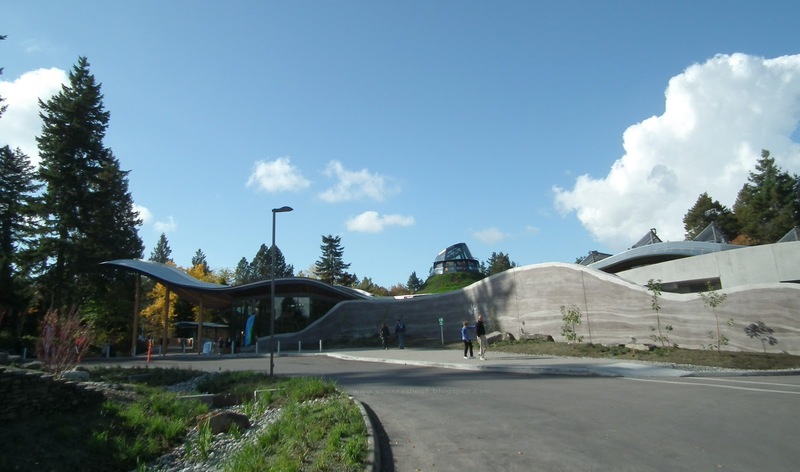 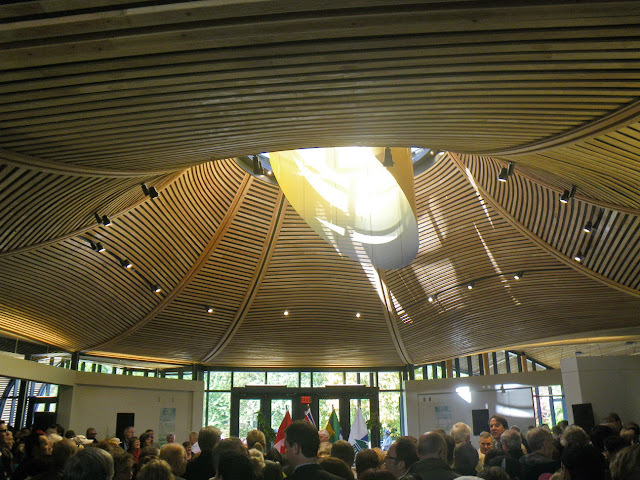 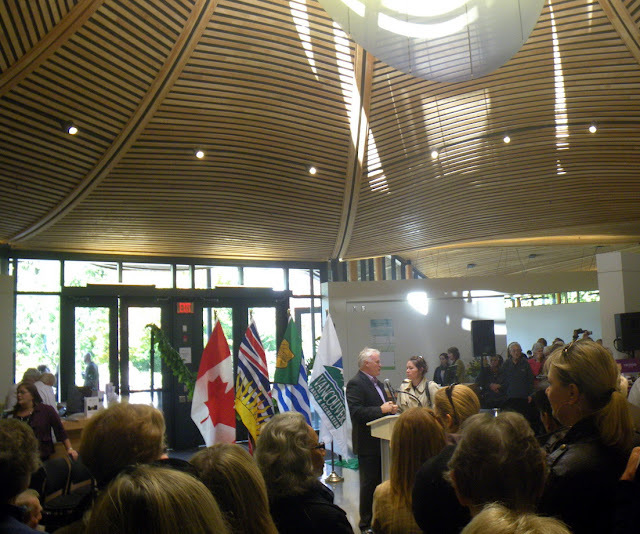 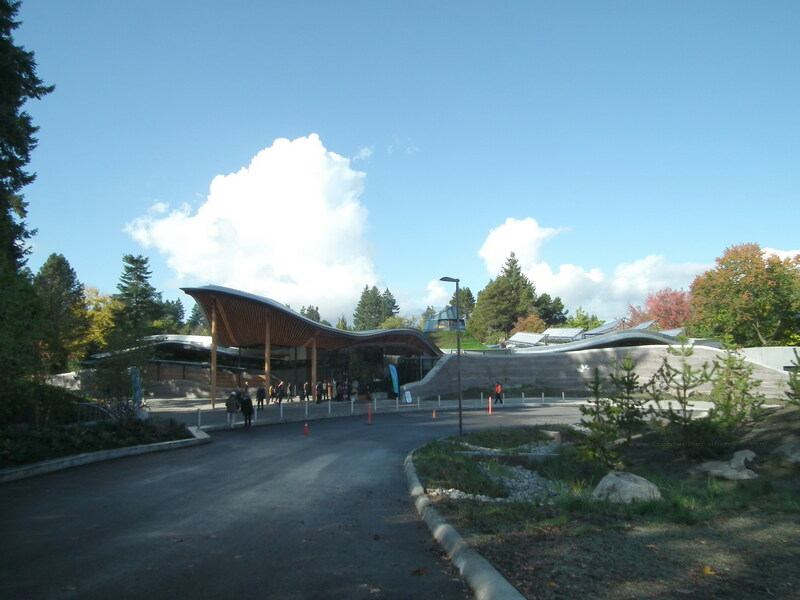 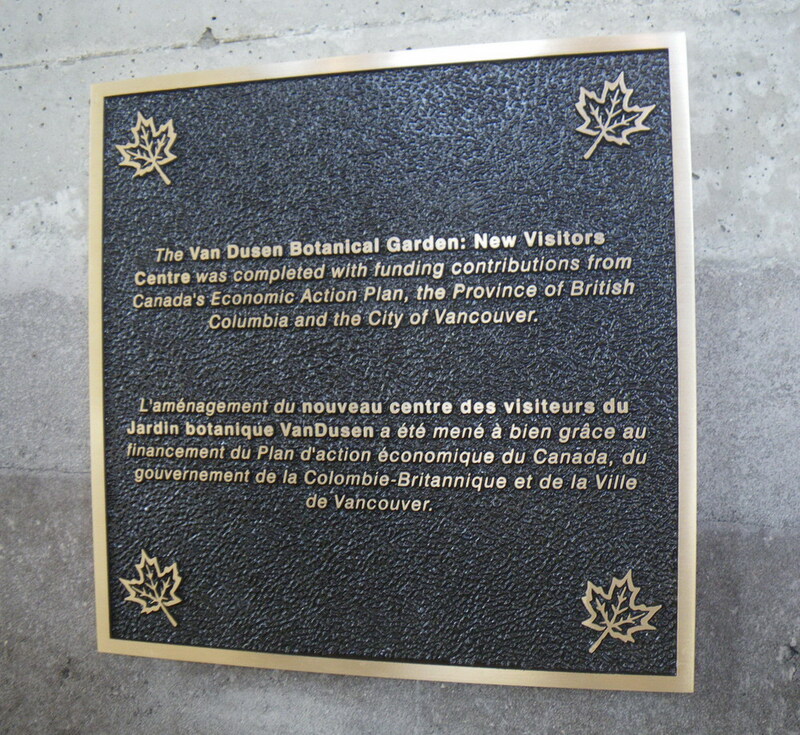 "The VanDusen Botanical Garden Visitor's Centre was completed with funding contributions from Canada's Economic Action Plan, The Province of British Columbia, and the City of Vancouver. 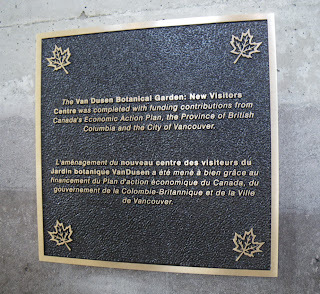 L'amenajement du nouveau centre des visiteurs du Jardin botanique VanDusen a ete mene a bien grace au financement du Plan d'Action economique du Canada, du gouvernement de la Colombie - Britannique et de la Ville de Vancouver" reads the plaque from nearby main entrance of the new building. together with the visiting various gardens from the VanDusen Botanical Garden and to learn about plants, they could make a "mushroom trip" through the Mushroom Show organized in the Floral Hall by Vancouver Mycological Society or buy dried flowers arrangements from The Dried Flower Sale from the Entrance Pavilion. 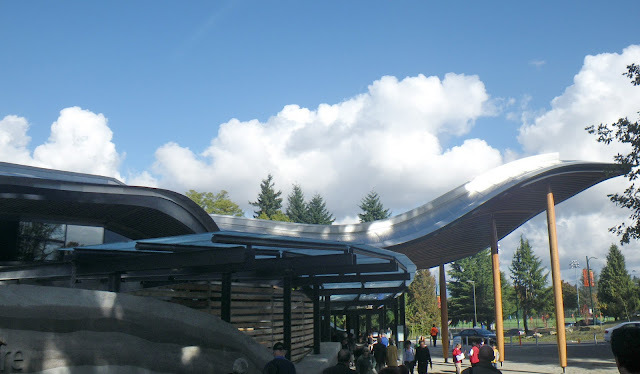 It is, indeed, an amazing building that stands out for a dynamic and undulating architecture in harmony with the nature, having a landing roof section that is smoothly joining with the flora of the garden.